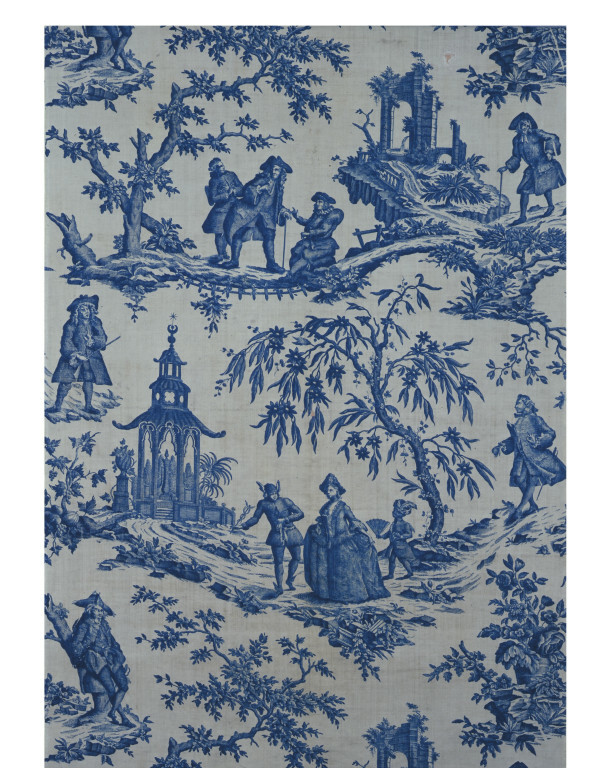 This furnishing fabric is decorated with scenes from David Garrick's play Lethe, first performed at Drury Lane Theatre, London, in 1740. The figures here are taken from prints by Gabriel Smith and A. Moseley from 1750, and the textile was probably designed at about the time of the command performance of 1766. The lady in this scene is accompanied by a young black page-boy. Images such as this were very common in paintings and prints of the period, though they were slightly more unusual on textiles. Many black boy servants were employed, particularly by women, in white households in 18th-century western Europe. But, when they became adults, they were sometimes turned out of their homes and forced to join the ranks of the urban poor. In the 18th century, images of black people were associated with exoticism and luxury, in sharp contrast to the harsh realities of racism that characterised the experience of many black people in Europe. This textile was probably designed about the time of the command performance of 'Lethe' 1766. 'Lethe: or, Esop in the shades'' a comedy, was David Garrick's first play, produced at Drury Lane in April 1740. 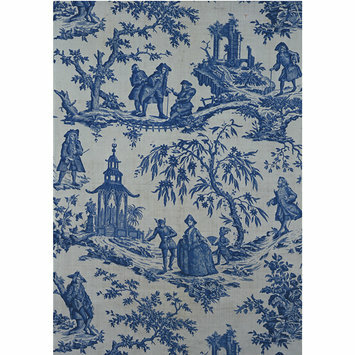 Included in the V&A's 1976 exhibition '1776 : a Londoner's View', a display of domestic decorative arts. 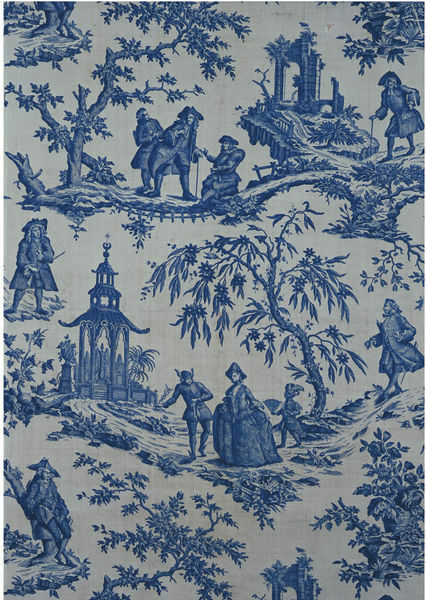 Textile with scenes from Lethe, a play by David Garrick, plate-printed cotton, Britain, ca. 1770.